You may eventually remember  the Prinoth Leitwolf (2007) by Han Crielaard (designer-han). After all this time he published one video of it. Can't remember the original video to know whether it is a re-make or a new take, but interesting to see anyway. It is amazing how this model performs on snow, as it tends to grasp into the treads and force the models stuck after some time. 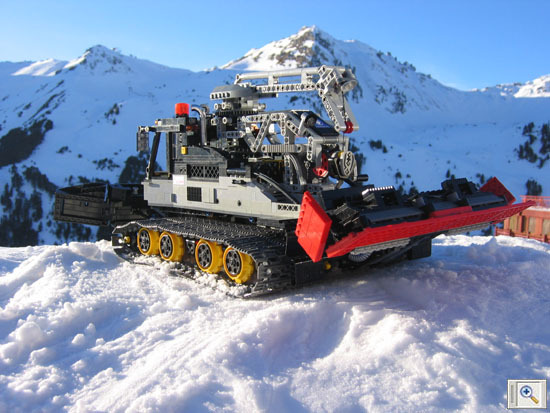 In this case it not only keeps moving but it also drags a pile of snow very effectively. A nice example of a Technic model really performing the same functions of the original model.